Drillbit Holder | Hold it! Screw holder for your drills! Keep What You Need. Where You Need It. Makes piloting holes and driving screws quick & easy. On board access ends fumbling around trying to find or store the drill bit, driver bit and screws. 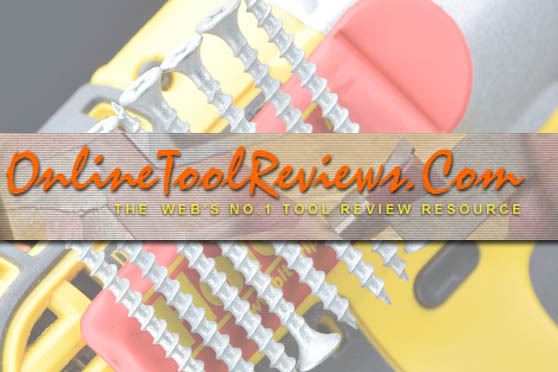 To read the web's number one tool resource review on Hold-it!, click on the picture! Otherwise, if you'd like to rate and review the Hold-It, click the Rate button below. We'd love to hear your feedback! Choose from Blue or Red Hold-It! Comes with Hook & Loop attachment means. The Hook is already on back of the Hold-It. The matching Loop piece with adhesive backing is included so that you can mount on your tool with ease. Satisfaction Guaranteed! : If you don't believe this is one of the best drill accessories ever, return within 30 days for a full refund.